An alcohol-free fragranced water that keeps the baby smelling deliciously fresh. 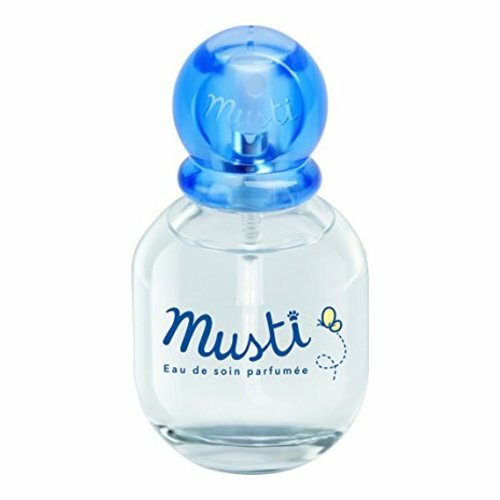 Musti Eau De Soin is an aromatic baby perfume consisting of a blend of subtle citrus notes with hints of Rose, Lilac, and Amber. Composed of 92% plant-based ingredients, including Chamomile and Honey extracts to soothe and soften the skin. • Apply Musti Eau de Soin behind the ears, on the neck or on the wrists. • Musti can also be used to perfume baby's clothes, pajamas, and linens. I suffer from headaches and perfumes scents trigger the headaches. This is the only product I and my family can wear. I usually purchase as much as I can on vacation but happy to know you can ship it to me in the US.